In the minds of many, the felines of the world rank among the most beautiful and awesome of all the creatures in Nature. This extends equally to the wild relatives of our beloved household pets. These wild felines come in a wide range of sizes and appearances and inhabit a great range of habitat types. Each and every one of them fascinates us and appeals to us with their grace and power. Here we present to you a collection of the Wonderful Wild Cats of the World. The primary threats to its existence include habitat loss and a significant reduction of its natural prey. It has a highly specialized diet. It preys almost exclusively on two species of rabbit endemic to the same region. Its only other known natural prey consists of small rodents and birds. Two separate diseases have significantly reduced the amount of available prey for the Iberian Lynx. Concerted efforts by associations such as the EU LIFE-Nature project currently remain underway. These include captive breeding and reintroduction programs. Its known numbers in the wild have risen, but remain at only a bit over individuals. The Iberian Lynx attains an average head and body length of roughly 43 in (110 cm). The tail stays relatively short in comparison with other species of wildcat. It averages about 12 in (30 cm) in length. This lynx displays a moderate degree of sexual dimorphism. Though the lengths remain similar between the genders, the male develops significantly stockier in its build. The male averages nearly 28 lb (13 kg), while the female averages around 21 lb (9.4 kg) in weight. The legs of the Iberian Lynx grow relatively long. Like other species of lynx, the ears have a tuft. The coloring generally appears tawny, with dark spots of varying sizes. The muzzles appear slightly more elongated in shape than most varieties of wildcats. Fossil evidence also indicates that the Iberian Lynx has never had a significant endemic range. It once inhabited a range that encompassed a region that included portions of what is now France, Portugal, and Spain. Currently, the Iberian Lynx is only known to exist in two areas in Andalucia, Spain. Only two known breeding populations remain. The Iberian Lynx prefers to inhabit regions of open grassland mixed with areas of dense shrubbery. Presently, its known population is restricted to areas of maquis shrubland, lowland forests, and mountain areas. Much of what previously constituted its natural habitat range has now been taken for the construction of roads and dams. It evolved as native to a highly restricted area of habitation that human activities have (as with so many other creatures) reduced even further. It now occupies less than 5% of its original range. The IUCN had previously listed this magnificent animal as Critically Endangered. As of 1970, there were only 20 living individuals remaining. Fortunately (and deservedly so) the Florida Panther was made a protected animal at that time. Due to conservation efforts, its numbers have increased somewhat. It has helped somewhat that part of its territory lies within protected areas, such as the Everglades National Park. Currently, there are roughly 160 of these beautiful felines in the wild. Its status has now been downgraded to Endangered. The Florida Panther is a unique and beautiful wild feline. Sexual Dimorphism is markedly present, with males most commonly being larger than females. Males usually average 159 lb (72 kg) in weight, while females only reach about 100 lb (45.5 kg) in total. The males grow both longer and heavier in body shape. Among adults, the fur is primarily a deep tan in color. The underbelly is generally a creamy white in color. There are also distinctive black markings on the tips of the tail and ears. The eyes are blue at birth, but change to yellow in adulthood, while infants are actually spotted at birth. Rather interestingly, this species is actually incapable of roaring. Instead, they utilize a combination of growls, chirps, hisses, and whistling noises. The Florida Panther lives exclusively in the southeast portion of the state of Florida, United States, in North America. Within that range, it typically inhabits swamps, forests, and pinelands. Each individual migrates through its territory during the day. Individuals prefer to spend their days in the wetlands, then move to grassland in the evening. This species is primarily nocturnal in nature. It evolved as entirely carnivorous in nature (no surprise there). Its prey typically consists of a variety of small animals. However, it will occasionally attack larger animals, such as deer or wild boar. Its only natural predators are large alligators. Due to human expansion in the region, the greatest threat it now faces remains that of collision with automobiles. The remarkable Marbled Cat remains of similar size to most domestic house cats, with a much bushier tail which may sometimes be longer than the body. Individuals average between 18-24 in (45-62 cm) in head-to-tail body length, with the tail averaging approximately 14-22 in (35-55 cm) in length. The Iriomote Cat forms a rather interesting subspecies of the leopard cat. Sadly, it also inhabits an extremely limited territory range. The IUCN classified this animal as Critically Endangered in 2008, due to a combination of this fact and its extremely low numbers. The total known population consists of only 109 individuals, and its numbers also appear to be declining rapidly. Given its restricted range and small population, this feline remains extremely vulnerable to such threats as climate change. The Iriomote Cat attains an average body length of roughly 24 in (60 cm). No degree of sexual dimorphism appears to be present in the species. The tail also grows overly long in comparison with the body, and averages about 22 in (55 cm) in length. An adult of this species weighs as much as 11 lb (5 kg). In coloring, it remains primarily a splotchy mix of dark gray and light brown. Most individuals typically possess two dark spots on each cheek and also a white spot on the back of each ear. The nose is large and flat, with no fur covering it. The eyes of the wildcat are a light amber color, while the legs grow relatively short and thick. The Iriomote Cat also possesses the smallest endemic habitat range of any known variety of wildcat. The species is indigenous to only the island of Iriomote, part of Japan, in Asia. The island measures only 112 sq mi (290 sq km) in total area. The creature primarily inhabits the subtropical forests of the island. Even there, it remains rarely found at altitudes of more than 656 ft (200 m) above sea level. The Iriomote Cat appears to be a primarily terrestrial species of wildcat. It will, however, climb trees, and even swim. It is also nocturnal in nature, with the primary period of activity being during the twilight period. During the day, the wildcat prefers to remain in caves or hollow trees. As with most related species, it marks its territory. It prefers to inhabit areas near the edge of the forest and near rivers. The Iriomote Cat is entirely carnivorous. Its diet also consists primarily of birds, reptiles, fish, amphibians, crustaceans, and various mammals. The Asian Golden Cat is a beautiful medium size species of wild cat native to a highly restricted habitat range. However, researchers have little data about the reproductive patterns or lifespan of this rather astonishing animal in the wild. Captive specimens average a 20-year lifespan. It would certainly be very sad to see this wonderful species in captivity. Also, the IUCN has categorized the cat as Near Threatened. The primary threat to this species is deforestation in its habitat zones which is, alas, a significant threat to many more species as well. The rather marvelous Asian Golden Cat evolved to be rather heavily built. It has an average body length of approximately 41 in (105 cm), and a tail averaging 22 in (56 cm). The weight of the Asian Golden Cat ranges from 20-35 pounds (9-16 kg). No discernible sexual dimorphism exists in this species. The cat’s coat also generally appears uniform in color, but the coloring ranges from red to golden brown, dark brown, cinnamon, gray or even occasionally black. Black and white lines also typically run across the cheeks and to the top of the head, in a distinctive pattern of markings. The habitat range of the cat includes select portions of southeast Asia. This includes Nepal, Tibet, Bhutan, India, Bangladesh, Thailand, Cambodia, Laos, Vietnam, Malaysia, Sumatra and parts of China. Consequently, the animal generally prefers forest regions which are mixed with rocky areas, subtropical evergreen, and also tropical rainforests. In the Himalayas, it can also live at altitudes of as much as 9,800 ft (3,000 m). In Laos, it has also adapted to life in the bamboo forests. But by nature and just like many other felines, it remains a territorial and solitary animal. The species also evolved as primarily nocturnal, but will occasionally venture out during the day. The felines prove to be rather crafty hunters and prey principally upon birds, large rodents, reptiles, and small deer. The animal also remains far more powerful than it appears and is capable of bringing down prey several times its own size. The rather surprising Scottish Wildcat remains a variety of wild feline that virtually no one outside of its endemic range even knows about. Such a terrible shame. This rather adorable feline itself actually constitutes a subspecies of the equally little-known outside of its immediate area, European wildcat. Sadly, like many related species, this animal also faces serious threats to its continued existence. At present, estimates place its total population at no more than 300 individuals, perhaps fewer. In addition to climate change and habitat loss, it also faces the added threat of interbreeding with domestic felines, given its small physical size. The Scottish Wildcat has a rather striking appearance, to be certain. Nonetheless, it ranks as a rather small species of wild feline, compared to others. Like many animals, it displays a moderate degree of sexual dimorphism. In its case, physical size represents the most obvious example of the principle. Adult males attain an average weight of about 16 lb (7.2 kg), while the smaller females only average weight of about 10.3 lb (4.7 kg). The coats have a tabby-like patterning, similar to many domestic cats, minus the white feet. The tail grows thick, with a ringed pattern. Uniquely, and rather interestingly, the ears of this feline have the ability to rotate a full 180 degrees. This provides a decided advantage in its native environment. The endemic range of the Scottish Wildcat once included much of what now constitutes Wales and England. Yet sadly for the world, that no longer holds true. Currently, its habitat range only covers portions of Scotland, in Europe, hence the common name. It became extinct in the other portions of its range in the last 150 years, primarily due to human activity. Its preferred habitat consists of areas of shrubland and woodland. However, the ongoing disappearance of such regions occasionally forces it to also encroach upon human population centers. Experts estimate its lifespan in the wild to be only 2-3 years, though it often lives for as long as 15 years in captivity. In the wild, individuals also frequently fall prey to diseases from feral cats and encounters with vehicles. This rather gorgeous mammal generally lives in a small den. These it usually constructs beneath tree roots, or in brush piles or cairns. Litter size may be as many as 8 kittens. Its activity may be either nocturnal or crepuscular. At these times, it hunts small prey, usually including rabbits, mice, and voles. Individual territories typically remain relatively small. Though not technically a species in its own right, the beautiful Golden Tabby Tiger currently lists as the third rarest creature on earth. With almost absolute certainty, no survivors exist in the wild and only 30 in captivity. Not technically a separate species, it represents the result of a recessive gene arising from the inter-breeding of a Bengal and an Amur tiger. This occurred in captivity in the early 20th century. In effect, it represents a mutation. Our moral compass here questions why this species exists at all. The colors of this mammal’s coat are lighter than that of other tigers and would be an actual disadvantage in the wild, as a result of reduced camouflage capability. Humans cannot create something better than Nature would. Although an individual Golden Tabby Tiger can occur in the wild, none are known to exist at this time – for the better. An unknown individual in India, in Asia, in the early 20th century killed the last known wild Golden Tabby Tiger in existence. For reasons which scientists have yet to clarify, all of these tigers actually develop slightly larger than even the mighty Bengal Tiger. This makes this mutated version the largest of all known tigers, though it still isn’t a separate species. Scientific research involving this particular variety of the majestic tiger remains scarce due to its limited numbers. Yet, researchers have made one rather interesting observation. Various tests indicate that the Golden Tabby Tiger also appears to be slightly more intelligent than other tigers. Every single known Golden Tabby Tiger alive today constitutes a direct descendant of a mixed breed tiger named Tony, via the only one of his many descendants to successfully breed, a male named Bhim. The Borneo Bay Cat is an extremely reclusive wildcat. No sightings occur outside of its native forest. It actually appears to be the Howard Hughes of the feline world. In 2002, the IUCN classified this species as Endangered. An exact count of its numbers remains unknown, but it is rarely seen, and its area of habitation seems severely restricted. Estimates place the total extant population of Borneo Bay Cat at fewer than 2,000. Given the restricted range, experts consider habitat loss (as usual) its primary threat. The cat seems to be highly specialized in its habitat requirements since no specimens have ever been seen outside the forest. We still know very little about the ecology or reproductive behavior of this amazing feline. Since the discovery of the Borneo Bay Cat in 1874, the number of specimens studied firsthand only totals 12 individuals (imagine – only 12 in 141 years), so data on its size and weight can only be based on those scant few. Based on the few examined to date, the species attains a maximum body length of about 26.4 in (67 cm), and a weight of roughly 8.8 lb (4 kg). The tail of the Borneo Bay Cat averages nearly 16 in (40 cm) long. Its overall coloring remains a chestnut shade, and slightly lighter on the underbelly. The ears develop somewhat rounded in shape (rather like those of a human). Typically, two dark stripes spread outward from the corner of each eye. The Borneo Bay Cat also usually displays a distinctive dark marking on the back of the head, which stays roughly M-shaped. The Borneo Bay Cat also apparently only exists in two concentrations deep within the interior section of the island of Borneo, in Asia (perhaps wisely hiding from man). Evidence also indicates that while it resides solely within the forest, it will inhabit varied types of forest habitats. Portions of the forest in which the animal has been spotted include swamp forests and highland forests, at altitudes of as much as 1,600 ft (500 m) above sea level. The greatest concentration of either confirmed sightings or evidence of its presence occurred in the Gunung Mulu National Park. All sightings of the Borneo Bay Cat have been in the vicinity of water, suggesting a rather close association (perhaps it actually likes to swim). Currently, we know nothing about where this species prefers to make its dens. Evidence gained from camera traps placed in the region indicates that it primarily feeds as a nocturnal creature. The cougar, Puma concolor, is a gorgeous large feline native to the Americas, and it is more nearly similar to smaller felines, incl. the domestic cat than to any other known subspecies of the lion. This feline is a slender and agile member of the cat family and is also the fourth-largest feline species. The mammal is adept at climbing, which allows it to evade canine competitors. Although not strongly associated with water, the cougar can swim. The Cougar exhibits sexual dimorphism in terms of size. Adults average roughly 24-35 in (60-90 cm) tall at the shoulders. Adult males are also about 7.9 ft (2.4 m) long, nose-to-tail, and females are usually up to 6.7 ft (2.05 m). On the other hand, of this length, 25-37 in (63-95 cm) of this is only the tail. The male typically weighs 115-220 lbs (53-100 kg) while females – between 64-141 lbs (29-64 kg). The head of the mammal is round and its ears are erect. Its powerful forequarters, neck, and jaw serve to grasp and hold large prey. It also has five retractable claws on the forepaws and four on the hind paws. The larger front feet and claws are adaptations to clutching prey. In addition, it has large paws and proportionally the largest hind legs in the cat family. The rather stunning Cougar also has the greatest range of any wildcat in North America. Consequently, it can be found from parts of Canada to the Andes in South America. It has also evolved to be highly adaptable, and thus inhabits a wide variety of habitat types within its native range. These include forests, lowlands, mountains, and arid climates. This physique allows the Cougar some of the greatest leaping and short-sprint ability of any animal. It is able to jump as high as 18 ft (5.5 m) in one bound, and as far as 40-45 ft (12-14 m) horizontally. The top running speed of the animal also ranges between 40-50 mph (64-80 kph), but they are best capable of short, powerful sprints rather than long chases. A rather successful generalist predator, the Cougar will eat any animal it can catch, from insects to large ungulates in excess of 1,100 lbs (500 kg). Certainly, it exhibits opportunistic behavior. Like all felines, it is an obligate carnivore. This means that it needs to feed exclusively on meat to survive. Investigations in Yellowstone National Park showed that elk, followed by mule deer, were the animal’s primary targets. The Andean Mountain Cat, Leopardus jacobita, is a small species of wildcat. It is also one of only two species of wild felines for which no subspecies have been classically described. The beautiful small cat is, unfortunately, an extremely rare creature. Estimates place the number of living individuals to be no more than 2,500. The Leopardus jacobita is one of approximately two dozen small wildcat species found around the world and ranks among the least known of all wild felines. Sadly, the IUCN currently lists this remarkable feline as Endangered. The greatest threats to its existence are habitat loss and climate change. Generally, the top coat of an Andean Mountain Cat is silvery-grey in color. Commonly the underside is white, with numerous dark spots and stripes. It also possesses black rings around the tail and limbs. Body length may reach as much as 25 in (64 cm) and tail may reach 19 in. (48 cm). The Leopardus jacobita averages about 14 in (36 cm) at the shoulder and weighs about 12 lb. (5.5 kg). The tail is long, thick and blunt without tapering. The front paws have dark narrow stripes that do not form complete rings. The nose is black or very dark in coloration. There is a difference between the color patterns in juvenile and mature Andean Mountain Cats. The markings on the coat are smaller, more numerous, and darker on juveniles, especially those on the sides of the body. Scientists believe that the Andean Mountain Cat lives only in Bolivia, Chile, Peru, and Argentina, in South America. The felines prefer high-elevation treeless habitat, where the conditions are very dry, windy, and cold. Those areas are also fragmented by deep valleys. Additionally, its distribution is likely to be further localized by the patchy nature of colonies of the preferred prey. The Andean Mountain Cat lives at altitudes of between 11,500-15,700 ft. (3,500-4,800 m) in elevation. Though it is about the size of a domestic cat, it appears larger because of its long tail and thick fur. Its diet consists primarily of the mountain viscacha which is a type of rodent. Unfortunately, estimates place the wildcat’s numbers in a rapid decline. This is primarily due to a loss of habitat (mining, cattle lands, etc.) as well as a decline in the numbers of its prey. The feline would also hunt mountain chinchillas which are also in rapid decline due to hunting for the fur trade. Also, people in Chile and Bolivia often kill them because of local superstitions. Since the creature lives only in the high rocky mountains, human-inhabited valleys act as barriers. This fragments the population even further, meaning that even low levels of poaching could be devastating. The Cheetah is a large species of wild feline inhabiting most of Africa and portions of the Middle East. It remains the only surviving members of the genus Acinonyx. The mesmerizing animal also ranks as the fastest of all known land animals. It is capable of attaining speeds of as much as 75 mph (120 kph). However, this speed is only in short bursts covering distances up to 1,600 ft (500 m). It also has the ability to accelerate from a standstill to 60 mph (96 kph) in as little as 3 sec. The Cheetah is believed to have evolved in Africa during the Miocene Epoch (26-7.5 million years ago). Evidence indicates that it then migrated to Asia. Recent research places the last common ancestor of all existing populations in Asia 11 million years ago. Currently, at least six known sub-species exist. The Cheetah possesses a rather narrow waist and deep chest. The fur also grows short and coarse. The animal is primarily tan in color, with round black spots. These spots typically measure approximately 0.8-1.2 in. (2-3 cm) in diameter. No noticeable sexual dimorphism is present in the species. This color pattern provides natural camouflage. The underside is white, with no spots, and the tail has spots which merge to form four to six dark rings at the end. The Cheetah has a small head, with high-set eyes. Their thin and fragile body makes them well suited to short bursts of high speed. However, they are not suited for endurance, yet they remain extremely agile creatures. An adult may weigh as much as 159 lbs (72 kg), while the body length of the Cheetah averages about 59 in (150 cm). The tail averages roughly 24-33 in (60-84 cm) in length. Currently, several populations of Cheetah exist, isolated geographically. All of these occur in either Africa or southwestern Asia. Additionally, a small population still survives in the Khorasan Province of Iran. There, conservation efforts are underway to protect the survivors. There have also been unconfirmed reports of sightings in both India and Pakistan. The Cheetah prefers large stretches of land, with abundant prey. It typically thrives in savannas, grasslands, and mountainous regions. Males tend to form groups, often for life, yet the females are generally more solitary. The two sexes rarely intermingle, except for mating purposes. Except for the time spent rearing the young, the females live alone. The stunning mammal also forms one of only four species of cat with semi-retractable claws. Interestingly, the Cheetah remains capable of purring, but not roaring. The Kodkod is a wildcat species which surprises many who learn of its existence. That’s because this remarkable animal grows no larger than the average house cat. Many people do not even know of the cat’s existence because the Kodkod’s range of habitation is highly limited and typically remote. This includes rainforests and extreme elevations. Also, its already limited numbers are decreasing rapidly. The IUCN lists the animal as Vulnerable and indicates that the animal’s population now numbers less than 10,000 individuals. This species faces numerous threats like climate change and habitat loss due to deforestation. Also, local inhabitants often kill it in retaliation for raiding their livestock, most notably chickens. While the Kodkod holds the classification of a wildcat, its size nevertheless remains rather diminutive. Much as with other felines, either wild or domesticated, it does not display sexual dimorphism. The feline attains an average body length of 20 in, and the short tail averages 9.8 in (25 cm) in length. The species also reaches an average height at the shoulder of just under 10 in (25.4 cm). The average adult, of either gender, weighs roughly 5.5 lb (2.5 kg). It also has a relatively small head, while its feet rank as relatively large for a feline of its size. While short, the tail grows comparatively thick. The primary color of the coat ranges from dark yellow to grayish brown. In addition, the body displays numerous dark spots and a ringed tail. The lovely Kodkod ranks as the smallest wildcat in either North America or South America. But it also has the smallest endemic territory. While a small population exists in Argentina, the vast majority of the population resides in central and southern Chile. Incidentally, it also inhabits a highly specific habitat within that range. Except where forced out by human activity, individuals only inhabit regions of the temperate rainforests of the southern Andes. The greatest concentrations exist in the Valdivian and Araucaria forests, which possess high concentrations of bamboo. There, its presence ranges up to elevations of as much as 6,200 ft (1,900 m). These small carnivores hunt by both day and night and feed on a variety of small prey. This typically includes lizards, birds, rodents, and even large insects, such as moths. Since the Kodkod possesses excellent climbing skills, the impressive small mammal spends as much time in trees as on the ground. The Pallas Cat remains a small species of wildcat. It appears endemic to the montane steppes and grasslands of Central Asia. Its distribution throughout the greater extent of this range seems to be highly fragmented, however. Interestingly, the Pallas Cat also lives as a predominantly solitary animal. Like most species of wildcat, it uses scent to mark its territory. Unfortunately, its numbers seem to be declining rapidly. Consequently, IUCN classifies it as Near Threatened. People still hunt it for its fur in Mongolia, Russia, and China. It occasionally gets caught in traps set for other animals, such as marmots. Domestic dogs also pose a common threat. Physically, the Pallas Cat measures about the same size as the average domesticated feline. It also appears to be much bulkier due to its extremely long, dense fur. In fact, the species averages a body length of as much as 26 in (65 cm) and the tail averages 12 in (31 cm) in length. Weights vary greatly between individuals but reach as much as 10 lb (4.5 kg). The legs grow comparatively short, adding to its rather stocky appearance. Further, the fur typically shows an ocher color in summer, and grayish in the winter. The ears are set very low, and wide apart, and the claws are extremely short for a feline. The Pallas Cat lives in portions of the Tibetan Plateau. There, it inhabits territories of Tajikistan, Mongolia, Pakistan, Kashmir, and much of western China and dwells as high as 16,570 ft (5,050 m). The species primarily preys upon wild gerbils, voles, pikas, and partridges. It also has a diurnal nature and spends the majority of the day in rock crevices, caves, or marmot burrows. Individuals typically hunt late in the afternoon and are not fast runners, so principally hunt as ambush predators. The Pallas Cat also has an average lifespan of roughly 11 years. The Amur Leopard or the Far Eastern Leopard serves as the common name of a species of leopard native to restricted portions of Asia. The species also remains extremely rare, and IUCN lists it currently as Critically Endangered, with barely than 100 individuals known to still exist in the wild. This itself represents an increase in numbers. Just a few years before, when protections were instituted, it numbered no more than 40 individuals. The greatest threats to the continued existence of this magnificent feline continue to be habitat loss and also poaching by hunters. The rather gorgeous Amur Leopard remains different from other leopards in that its fur coat is very thick. The fur is long, dense, and quite soft. Large males may attain a body length of as much as 54 inches (136 cm) plus a tail averaging 35 in (90 cm). Males may stand as much as 31 in (78 cm) high at the shoulder, and weigh as much as 110 pounds (48 kg). Its fur generally changes color with the seasons. The winter coat varies from fairly light yellow to dense yellowish-red. The rest of the year, it generally presents a pale cream color. The stunning Amur Leopard historically inhabited a range that included Eastern Siberia, Northern China, and portions of Korea. Today, that range has shrunk to only include a small portion of the border between Russia and China. It only inhabits rugged mountainous regions, especially snow-free south-facing rocky slopes in winter. It also feeds as an opportunistic hunter and will take prey ranging in size from as small as a mouse to as large as a moose. The greatest threats to this magnificent animal are habitat loss and also climate change, as it has evolved to inhabit cold climates. Numerous conservation programs are also underway, including potentially reintroducing captive-bred individuals from zoos from around the world, which has been under consideration since 1996. It would be such a shame to lose this marvelous feline so we hope the program works. While most wildcats see their numbers dwindling rapidly, the beautiful Ocelot holds the distinction of being one of the few wild felines that the IUCN lists as a Species of Least Concern. Previously, it had been listed as Endangered until 1996. As of that time, efforts at protecting the creature had allowed its numbers to bounce back significantly. In the past, the Ocelot was widely hunted for its pelt, which was regarded as highly valuable. Thankfully, this practice was banned decades ago throughout its endemic territory. The remarkable Ocelot lists as a moderate-sized variety of wildcat. The species also displays a moderate degree of sexual dimorphism. Females weigh as much as 25 lb (11.3 kg) while males reach a weight of as much as 34 lb (15 .5 kg). This beautiful mammal attains an average overall body length of between 22 – 39 in (55 – 100 cm). The tail adds an additional 10 – 16 in (25.5 – 41 cm) to the total length of the feline. In color, the fur of the Ocelot is predominantly a tawny yellow with numerous black markings. The neck and belly typically display a white coloring. Its fur usually remains short on the belly but grows longer on the back. The small ears also usually remain rounded and display a prominent white spot. The eyes most commonly show a brown color that reflects patterns of gold in bright light. The actual range of the amazing Ocelot covers an extensive region which extends through portions of the United States, in North America, through Mexico and much of Central Ameria and South America. Population densities also vary rather widely, however, with the highest known density occurring in Panama. This particular animal inhabits a rather wide range of habitats, which has helped its numbers to rebound from a few decades ago. These habitat types include tropical rainforests, scrublands, mangrove forests, and even coastal marshes. It typically prefers lower elevations, but some populations occur as high as 9,843 ft (3,000 m). Like all wildcats, the Ocelot also has a carnivorous diet. Its primary prey consists of such small animals as rabbits, rodents, fish, birds, opossums, armadillos, and occasionally small reptiles and even insects. Hunting typically occurs during the evening and at night, but sometimes happens during the day when necessary. Because of its majestic beauty, the gorgeous Snow Leopard is the National Heritage Animal in two countries within its territorial range. As a result, it is afforded a measure of protection. It ranks among the most beautiful of the big cats and is also the least aggressive towards humans. These felines are reportedly easily driven away from livestock. Unfortunately, this remarkable wild feline is also in danger of extinction. The IUCN listed the species as Threatened. Climate change and habitat loss represent the greatest threats to its continued existence as a species. The Snow Leopard is slightly smaller than other big cats. 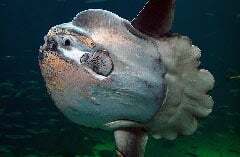 The body is stocky in shape, averaging about 50 in (130 cm) in length. It achieves a usual weight of about 120 lb (55 kg). The legs are rather short, with the feline measuring an average of 24 in (60 cm) at the shoulder. The tail is long, averaging 39 in (100 cm) long. Its evolutionary adaptations include the well-known stocky build, much thicker fur, smaller ears, and wider paws. The Snow Leopard is also capable of leaping as much as 50 ft (15.2 m). Its coloring varies between individuals. This range runs from a smoky gray to a tan color, with the ubiquitous spots. These patterns provide for excellent camouflage within its endemic habitat. The eyes are very distinctive and are typically gray or pale green in color. Occasional individuals are born with a brilliant blue variant. The species inhabits both the alpine and sub-alpine ranges. It lives at altitudes of between 9,800 – 14,800 ft (3,000 – 4,500 m) and prefers terrain that is rocky or snow-covered. Its active periods are generally at twilight. The species is primarily carnivorous and is an excellent hunter. Individuals typically take smaller prey such as rabbits and birds but will occasionally take prey several times its own size. This stunning animal also feeds opportunistically, consuming carrion. This species consumes a proportionately larger amount of vegetation than any other big cat. The feline leads a primarily solitary life as it usually only groups together to mate or while a female is rearing her cubs. In addition, a typical lifespan is approximately 15-18 years. The Snow Leopard faces the danger of extinction. Exact tallies of its numbers in the wild are impossible to attain because of the remoteness of its habitat. Current estimates place its numbers at fewer than 8,700. Numerous organizations are now working to preserve the species. In 2013, the governments of 12 of the countries the Snow Leopard inhabits signed the Bishkek Declaration. Consequently, they created numerous protected areas within the range the felines inhabit. To date, a total of 23 of these protected areas exist. A few of these include Chitral National Park, in Afghanistan, and Tumor Feng Nature Reserve, in China. Yet, more must be done: illegal poaching still occurs as well as a threat from habitat loss. Habitat destruction is the greatest threat to the survival of this animal. It remains rarely seen and has been little studied hence very little is known of the hunting or breeding habits of this animal. Limited evidence also suggests that it principally preys upon birds and rodents. It also appears to be primarily nocturnal in nature. Though small in stature, the Pampas Cat possesses a relatively stocky build. Average sizes vary greatly, based upon geographical locations. Average body length ranges from 18-30 in (46-75 cm). The tail of this beautiful species stays comparatively short, and averages 9.1-11.4 in (23-29 cm) in length, again depending upon geographical factors. In a rather fascinating evolutionary adaptation, this feline species also displays three distinctly different variations in pelage. However, all three present two dark lines on each cheek. Typically, individuals of each pelage variation remain restricted to a particular territory range. One is found only in the extreme north, and yet another appears only on the far southern edge of its territory. Those found in between comprise the greater majority of pelage type. The name of the Pampas Cat reflects its preference for inhabiting regions of pampas. However, individuals do also occur in a wide variety of habitat types. These animals sometimes appear in Argentina, Bolivia, Chile, Ecuador, and Peru, in South America. Within that region, it will also inhabit a wide range of altitude. The Pampas Cat most commonly occurs at altitudes ranging from 5,900-16,400 ft (1,800-5,000 m). In addition to the pampas, it sometimes inhabits several other types of habitat. These include dry forests, grassland, and shrubland, as well as occasionally the Patagonian steppes. It often shares territory with other varieties of the wildcat. The beautiful Visayan Leopard Cat represents a recently identified subspecies of a wildcat. Interestingly, it ranks as one of the smallest of all known wild felines. Evidence also indicates that this remarkable feline once inhabited a rather wide range. Today, however, it only inhabits a quite restricted portion of the world. The IUCN currently lists the Visayan Leopard Cat as Vulnerable, yet very little precise information remains available pertaining to its numbers and former range. Researchers also assume this by inference since the species currently only appears in a few small areas. Physically, the lovely Visayan Leopard Cat actually measures slightly smaller in size than the average domestic cat, despite its wild nature. The body length averages roughly 16 in (40.6 cm), and the tail averages about 9 in (23 cm) in length. The ears also stay relatively short and set far apart. In color, the Visayan Leopard Cat appears predominantly gold to dark brown on the upper portions. The lower portions show rather grayish-white in color and numerous dark brown to black spots also appear. The Visayan Leopard Cat seems to only exist on a few small islands in the Philippine’s, in Asia. Evidence also suggests, though not conclusively, that it once inhabited a much greater range. Consequently, known areas of habitation include Cebu, the Central Panay Mountain Range, Sicogon, and the North Negros Natural Park, located in the Philippines. The mammal appears to tolerate a rather wide range of habitats, however. Individuals often appear in forests, and the boundaries of sugarcane farms, primarily. However, it also appears to tolerate a variety of other habitats as well. But, unfortunately, the populations of this beautiful feline appear to be highly fragmented, with only a few small groupings known to remain. Given these facts, the greatest threats to its existence appear to be the combination of climate change and further habitat loss. The truly remarkable and unique Prionailurus planiceps, also known as the Flat Headed Cat, represents yet another extremely rare variety of wild feline. Consequently, the IUCN currently lists it as Endangered, and habitat loss serves as the primary threat to its existence. Estimates of its current population place the number of extant individuals of this animal at no more than 2,500. The Flat Headed Cat also remains extremely rare in captivity. Fewer than 10 specimens presently exist in captivity all of which unfortunately live in zoos in Thailand and Malaysia. The fascinating Flat Headed Cat draws its name from its rather distinctive cranial structure. Relative to other felines, its skull grows highly flattened. The body stays generally slender in shape, and the legs of the mammal grow slightly longer than average for a feline. The species also possesses a unique dental structure as well. In color, it typically shows a reddish brown to dark brown on top. The underbelly generally appears a mottled white in color. Head and body length averages about 20 in (50 cm), and the tail averages roughly 6 in (15 cm) in length. The average weight also totals about 5.5 lb (2.5 kg). Relative to body size, its canine teeth measure almost twice the length of other felines. The Flat Headed Cat is very restricted in its distribution. This animal is a small species of wild cat native to Borneo, Sumatra, and the Thai-Malay Peninsula, in Asia. Its distribution appears to be extremely patchy. Within its native range, it occurs almost exclusively in tropical rainforests. Both primary and secondary such forests will be occupied. The species primarily inhabits freshwater habitats within these forests. Its preference for proximity to water appears to be a common trait. The rather impressive small mammal primarily consumes fish from small streams and ponds, although it will take other prey. Very few specimens are observed more than 2 mi (3 km) from the water. The Flat Headed Cat also appears to prefer sections of rainforest either in lowland areas or near coastal regions. The Margay is a spotted feline native to North America and South America and also an extremely solitary type of wildcat. The feline also remains a predominantly nocturnal animal and typically prefers extremely remote sections within its native range. The IUCN lists the Margay as Near Threatened. In some regions, people hunt an average of 14,000 of these wildcats for the fur each year which has resulted in an extreme decrease in population. In addition, habitat loss and climate change continue to present extreme challenges to the reclusive small mammal. The Margay only attains a weight of as much as 8.8 lb (4 kg). The body length averages about 31 in (79 cm) and the tail measures roughly 20 in (51 cm) in length. Its fur displays a light brown and appears splotched with dark brown or black blotches and streaks. The stomach is generally white, and the tail has multiple bands, with a black tip. The rather remarkable Margay evolved to be principally arboreal in nature and individuals may spend their entire lives within the canopy, never coming down. It also has a remarkable evolutionary adaptation in its ankles. These evolved to be so flexible that the cats can actually walk down a tree trunk headfirst. The feline also remains one of only two known to possess this rather unique ability. The gorgeous Margay inhabits a range extending from southern Mexico to slightly beyond Central America. This rather amazing wildcat lives almost exclusively in areas of dense forest with typical habitats including tropical dry forests, evergreen forests, and cloud (or fog) forests. The Margay will also occasionally establish its territory in commercial plantations which unfortunately further increases its vulnerability to hunting. Evidence also indicates that this beautiful creature once ranged as far north as the states of Georgia and Florida. The Arabian Sand Cat, also popular as the sand dune cat, forms the only feline that resides principally within the true desert. This rather fascinating feline species was first identified in 1858 when one was seen in the Sahara, quite by accident. In 2002, the IUCN originally listed the mammal as Near Threatened due to concerns about potential low population size and decline. However, in 2016, after reviewing promising new data, that status was significantly upgraded to Least Concern. The Arabian Sand Cat represents a small species of a wildcat and seems to be highly adapted to its environment. It possesses a stocky build, with short legs and a rather long tail. Individuals generally show a light tan in color and most commonly, the fur appears without spots or stripes. The chin, lips, belly, and throat display white. The ears show tawny brown at the base with a black tip. This cat attains a body length of as much as 20 in (52 cm). The longer than average tail may also reach 12.2 in (1 cm) in length. Individuals could weigh up to 7.1 lb (3.2 kg). The bottom of its paws becomes extremely thickly padded which naturally provides protection from the desert terrain. The ears grow large, compared to other small wild cats. Acute hearing remains a survival necessity in an environment where prey stays scarce. The magnificent Arabian Sand Cat appears to have a widespread, though disjointed distribution. It inhabits largely the deserts of northern Africa but also appears to be present in smaller populations in central and southwest Asia. In North Africa, the cat appears in numerous locations including Morocco, the Sinai Peninsula, Egypt, Libya, Chad, and Sudan. In Asia, it lives in an area ranging from the Caspian Sea to the northern border of Afghanistan. This feline likes both sandy and stony desert regions and they seem to prefer flat or undulating terrain with little vegetation. It also typically avoids bare sand dunes. In such locations, there is comparatively little food. It remains capable of surviving in temperatures ranging from 23F-126F (-5C-52C). Individuals will withdraw to burrows during extreme conditions. While the feline will, of course, drink when water is available, it can survive for months just on the water in its food. The Fishing Cat serves as the common name for this species of animal. It remains a medium-sized wildcat, endemic to South Asia and Southeast Asia. Over the course of the last decade, its numbers dwindled dramatically. In 2008 the IUCN classified the Fishing Cat as Endangered, as a result. The principal reason for its decline remains habitat loss. The majority of its natural habitat has been converted to human use. Thankfully, the gorgeous small mammal now constitutes a protected species in most countries within its natural range. In some regions, its remaining habitat is being preserved, and captive breeding programs also now exist. The Fishing Cat possesses a stocky, muscular build. Its legs stay comparatively short, and the fur grows coarse in texture. Its natural coloring typically presents an olive gray, and it also displays a series of dark spots on its coat. These are arranged in horizontal streaks along the entire length of the body. The underbelly typically shows white, and the ears develop a deep black on the back. A mature Fishing Cat attains a head and body length of as much as 31 in (78 cm). The tail also averages about 11.8 in (30 cm) in length. A large adult sometimes weighs as much as 35 lb (16 kg). Fishing cat populations now exist only in widely scattered pockets throughout its native range. The majority of its numbers appear in the foothills of the Himalayas, in Nepal and India. Other large concentrations exist in Sri Lanka and Bangladesh as well. The Fishing Cat also dwells exclusively in wetlands. Individuals primarily live in marshes, swamps, and mangrove areas. The feline usually inhabits the area surrounding faster waterways only if necessary. It typically prefers to inhabit both evergreen and tropical dry forests, provided they contain the proper, specific habitat type. The Fishing Cat derives its name from the fact that fish constitute its primary prey. Yet the mammal also consumes insects, reptiles, birds, and small rodents, and even carrion when available. It forms a solitary species, usually congregating only to mate and remains principally nocturnal in nature. Unlike most felines, it seems quite comfortable in the water. Researchers also note that the Fishing Cat sometimes swims great distances underwater in pursuit of prey. Typically, however, it hunts the prey from along the bank. Individuals will not hesitate to dive in after a fish if necessary, however. The Black Footed Cat remains one of the smallest known species of a wild feline on earth. Can you believe that this adorable little creature actually ranks as a wildcat? It also has a highly solitary nature and almost completely nocturnal behavior. This animal rarely emerges from its resting places before sunset, at which time they hunt their prey. Due to these factors, men rarely see it, thus we still know little about them. Its numbers appear to be few, however, so the IUCN lists the Black Footed Cat as Vulnerable. Uniquely, it also seems to be a relatively poor climber for a feline and avoids climbing when possible. In spite of the descriptive name, only the bottom of the feet of the Black Footed Cat appears fully black in color (still, the name fits). The species displays a moderate degree of sexual dimorphism. The adult male Black Footed Cat averages approximately 4.2 lb (1.9 kg) in weight, while the female usually only reaches 2.9 lb (1.3 kg) in weight. The species remains smaller than many domesticated felines. Head to body length averages roughly 17 in (43 cm) among males while the female grows slightly shorter in length. The ears have a rounded shape, and the eyes appear comparatively large. The fur varies in color from tawny to cinnamon, with patterns of dark spots forming rings on various body locations. The Black Footed Cat remains native to portions of southern Africa. The animal only lives in Namibia, South Africa, and Zimbabwe. It inhabits either grassland, savanna, and Karoo semi-desert. The Black Footed Cat prefers shrub and tree cover and may be found at altitudes of as much as 6,600 ft (2,000 m). During the heat of the day, individuals will most typically inhabit small burrows or abandoned termite mounds. The small felines remain extremely active hunters and typically catch a dozen or more small prey each night. Individuals generally feed on such prey as small birds and rodents, though many will also consume insects and spiders opportunistically. Firstly, while often confused with the Lynx, the rather gorgeous Caracal actually bears a closer relationship to other felines. However, unlike other wild felines, this beautiful animal has, sadly, been tamed and used for hunting for thousands of years. Also setting it apart from related species is the fact that it still, for the moment, exists in reasonably large numbers in the wild. Consequently, for this reason, along with inhabiting a fairly wide range, the IUCN currently lists the caracal as a species of Least Concern. Yet, that may change soon, since it presently finds itself facing a rapid reduction of its range of habitation, due to agricultural expansion. The truly gorgeous Caracal ranks as a rather medium-sized wild feline and displays no discernible degree of sexual dimorphism. It also has a rather stocky build, relative to most wild felines. Furthermore, an average height at the shoulder equals about 20 in (50 cm), and a maximum weight is 40 lb (18 kg). In addition, in coloring, individuals most commonly display shades of tan or sandy-red. However, slightly reddish markings appear on various part of the body. The most visually striking feature, however, remains the strongly tufted ears, strongly resembling many types of lynxes. The magnificent Caracal actually inhabits an extremely wide range, which includes portions of Africa, the Middle East, and Asia, including India. It has also proven to be highly adaptable and thrives in habitats that include forest, savannas, marshes, and even semi-desert regions. Most commonly, it prefers areas with low rainfall and copious cover, yet also inhabits altitudes of up to 9,800 ft (3,000 m). Like other related species, it also has a carnivorous diet and primarily feeds on birds, rodents, and other smaller mammals. However, if smaller prey remains absent, individuals have been known to prey on larger animals, such as sheep and goats. The beauty and majesty of cats…of all sizes…seems to know no bounds. These represent the Wonderful Wild Cats of the World. Sadly, however, many of these majestic creatures face serious threats to their continued existence. We must do more to protect them, for the sake of us all. Let us know what you think of these and other wild felines.